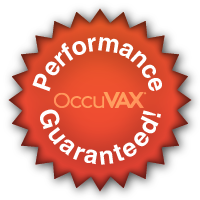 OccuVAX strives to provide ultimate satisfaction for all our customers. Please contact your OccuVAX National Account Manager at 800.558.5754 for further details. The single best way to protect against the flu is to get a vaccination every year.